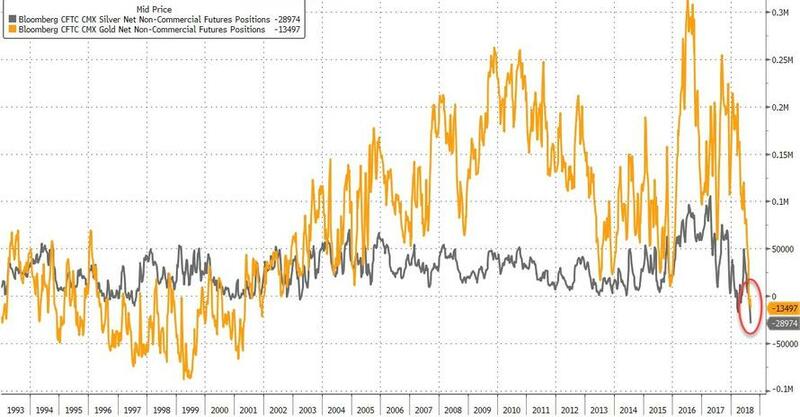 The Paper Gold Market Is Screaming "Short Squeeze"
Either something fundamental has changed, creating a “new normal” to which participants will have to adapt. Or the extreme move is a temporary aberration that will eventually be corrected by an equally extreme snap-back into the previous range. The following chart illustrates how unusual this new market structure is. 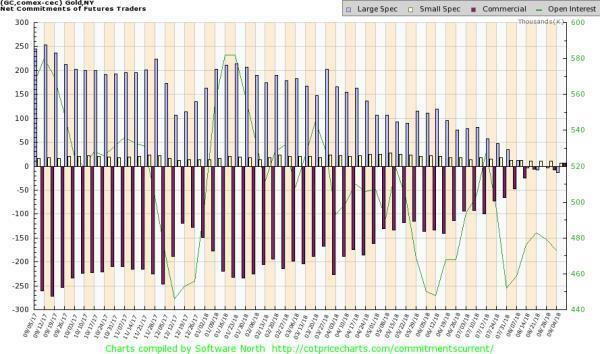 During most of the past year the speculators (gray bars) have been extremely long and the commercials (red bars) extremely short. Now they’ve swapped attitudes, with speculators betting that gold is going to fall and the commercials taking the other side of that bet.